Hi guys!! We are back home!!!! 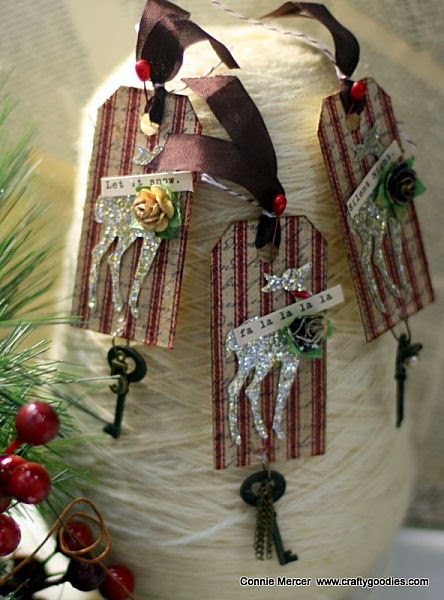 I wanted to show you these tags I did for The Curtsey Boutique but I ran out of time before we left for my mom's. So here they are You can find these supplies in the Etsy shop for The Curtsey Boutique. I stamps the background with the scrip stamp by Darkroom Door. These are gorgeous! I loveeeeeeee the deer!!! Love the vintagy sparkly goodness! I love the keys and you know I was just thinking of you Connie! Happy New Year! 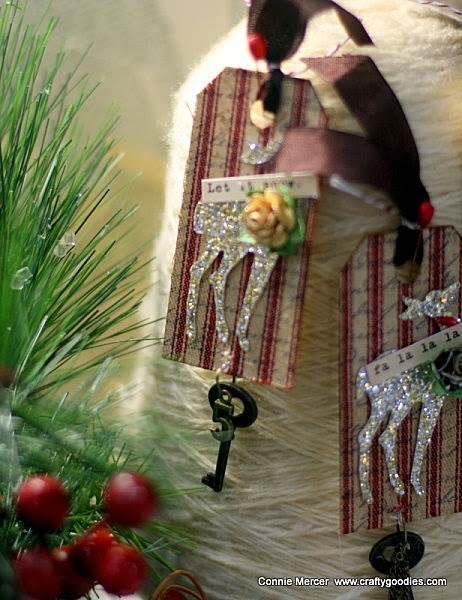 these are gorgeous....luvin the glittered reindeer! Wonderful tags. I always love reindeer.